Once you've been the biggest, it's hard to relinquish the title. When Hawaii's Papahānaumokuākea Marine National Monument (PMNM) was established exactly ten years ago by President George W. Bush, it was the world's largest marine reserve. A decade later, it's been surpassed in size by nine new reserves as the global effort to protect the seas has gained momentum. Now, U.S. Sen. Brian Schatz (D-HI) is leading the charge to get Papahānaumokuākea back to its number one spot. Schatz laid out the plan in a letter to President Obama on Thursday, suggesting that the reserve be expanded from 140,000 square miles to 582,578 square miles, more than five times the size of Arizona. “The best available science indicates that expanding the PMNM will strengthen an ecosystem that sustains tuna, swordfish, sharks, seabirds, sea turtles, and Hawaiian monk seals,” wrote Schatz. It would also protect some yet-to-be-discovered species. On a recent month-long trip to the reserve, which surrounds the Northwestern Hawaiian Islands, scientists collected three new species of fish. They also documented significant coral mortality caused by the mass bleaching associated with extended periods of above-average sea surface temperatures. Exceptionally warm surface water temperatures associated with El Niño have led to a number of mass coral bleaching events over the last couple years on a scale never before witnessed. The Northwestern Hawaiian Islands and the waters around them are home to more than 7,000 species of marine life, including some very rare and endemic species. 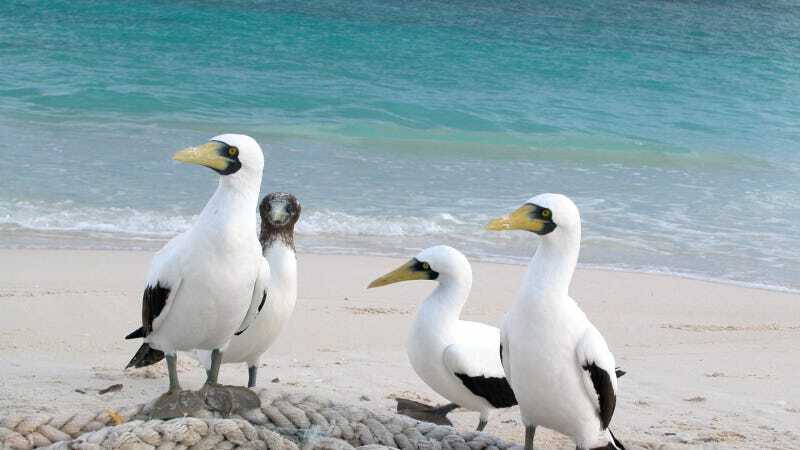 The new reserve proposal calls for expanding the protected area from 50 nautical miles to the 200 nautical mile limit of the Northwestern Hawaiian Islands exclusive economic zone (EEZ). The plan outlined by Schatz would continue to allow some commercial fishing for small-boat fishermen, but much of it would shift to international waters. According to the Pew Charitable Trusts, while new marine protected areas are an encouraging trend, only about 2% of the world's oceans are currently protected. This falls far short of the 30% target many scientists think is needed to sustain ocean biodiversity and to continue to support the role ocean's play in the global economy. Schatz is asking Obama to use the Antiquities Act to expand PMNM, an executive action that Obama has used more than any president since it came into law about a century ago. In fact, he's used it so much that Republicans have accused him of executive overreach. The law was the first to establish a means of protecting cultural and natural resources on U.S. lands, and was meant to help government preserve historic, scientific, and otherwise valuable lands for future generations by declaring them National Monuments. Aside from PMNM, there are a couple other locations across the country that could yet be designated National Monuments before Obama leaves office in January. For instance, a proposal for Bears Ears National Monument in Utah has given rise to a heated debate over the use of the Antiquities Act and public land use in general. The PMNM expansion proposal is not without its detractors either. In May, a group of 30 Hawaiian lawmakers sent a letter to Obama asking him not to consider expanding the monument, and stating that “there is no scientific justification or conservation benefit in doing so.” They expressed concern that fishing enterprises in the region would be significantly harmed. “Like the Polynesians who first settled these islands, we can balance the management of this unique natural habitat and its historic artifacts with the needs of the human population,” he said.